This week's theme is expensive, Earth friendly, and creative. Yes, my friends we are re-purposing around here. Bringing new life to things that have seen their better days. Our first project was to head to the garage and pay a visit to the recycling bin. 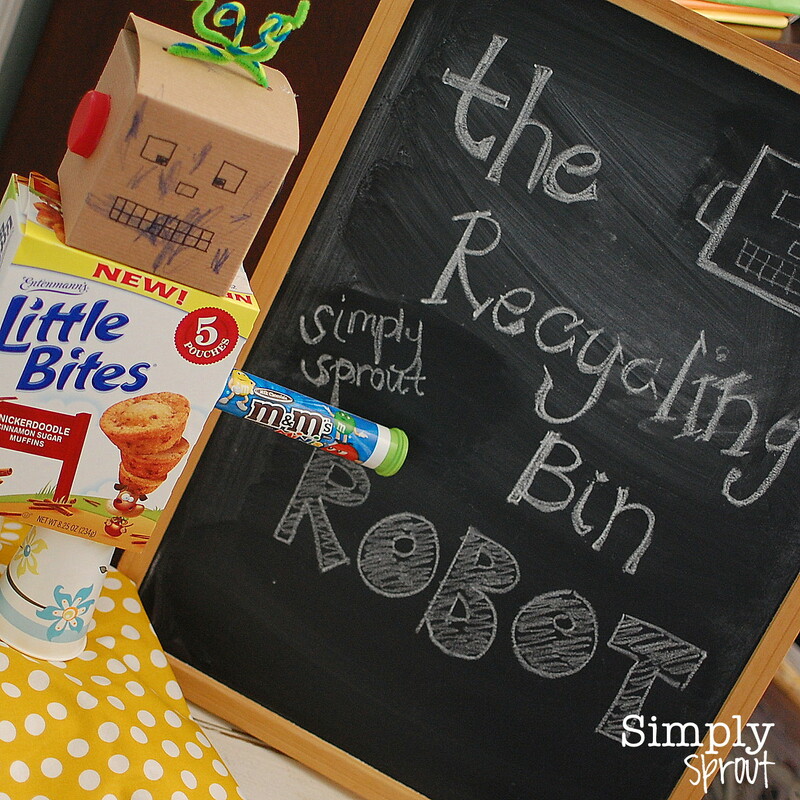 My son did a great job of helping pick items that would make "an awesome" robot. In my classroom I've challenged students to create bugs out of litter, and art work solely from the scrap basket, so why not a robot made of recyclables! All I had to do was be the keeper of the hot glue gun, but design work (I love his little crayon scribbles!) was up to him. 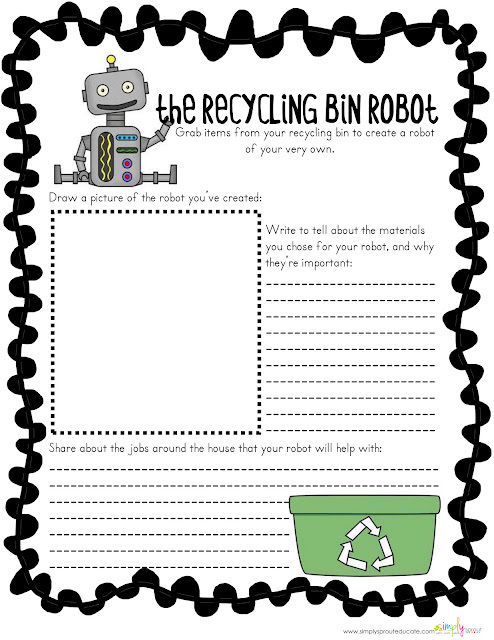 Visit our Teachers Notebook store for this FREE writing activity to add some umph to your Recycled Robot creation!